It’s so easy for coleslaw to go so wrong. Limp vegetables. Too-sweet, watery dressing. A disproportionate ratio of mayo to salad. This recipe from Well Fed 2 allows the contrasting flavors and textures to find their way to a peaceful détente negotiated by just-right dressing. The tang of vinegar balances the creamy mayo. Crisp-sweet carrots and cabbage relax the hot-sweet bite of red onion (grating it is the secret trick! ), and the fresh parsley brightens the whole affair. In a small bowl, make the dressing by whisking together the mayonnaise, red onion, lemon juice, vinegar, salt, and pepper. Set aside. In a large bowl, toss the cabbage, carrots, and parsley with two wooden spoons. Add the dressing and toss vigorously for 2 minutes to ensure the vegetables are evenly coated. Cover and refrigerate for at least 1 hour before serving. 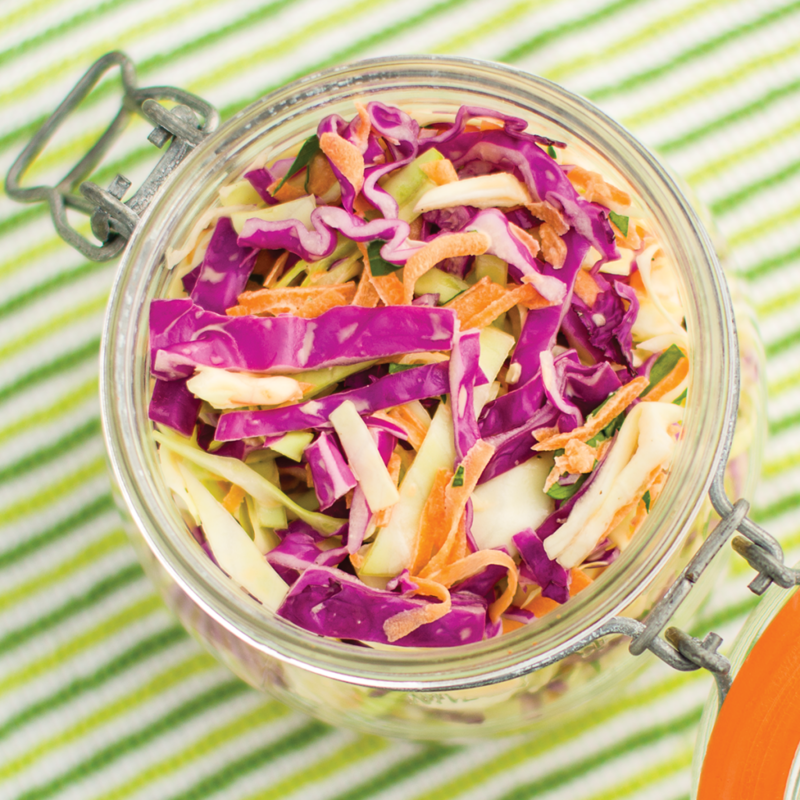 This coleslaw tastes great on the first day and even better the second day, so make it in advance for maximum impact. Make it a little sweeter by adding 1 cup crushed canned pineapple (unsweetened, packed in its own juice), 1 cup diced mango, or 1/3 cup raisins. Hey, this is also Whole30 too 🙂 Just figured it was worth mentioning wince you typically make a note of that in the title. Looks yummy!